The Federal Advisory Committee Act requires "fairly balanced" membership. Will unbalanced, polluting-industry-dominated panels trigger judicial review? President Trump has directed Mr. Pruitt to radically remake the E.P.A., pushing for deep cuts in its budget — including a 40 percent reduction for its main scientific branch — and instructing him to roll back major Obama-era regulations on climate change and clean water protection. In recent weeks, the agency has removed some scientific data on climate change from its websites, and Mr. Pruitt has publicly questioned the established science of human-caused climate change. In his first outings as E.P.A. administrator, Mr. Pruitt has made a point of visiting coal mines and pledging that his agency will seek to restore that industry, even though many members of both of the E.P.A.’s scientific advisory boards have historically recommended stringent constraints on coal pollution to combat climate change. Some who opposed the dismissals denounced them as part of a broader push by the E.P.A. to downgrade science and elevate business interests. Courtney Flint, a professor of natural resource sociology at Utah State University who has served on the board since 2014, said she was surprised by the dismissal. A larger, corresponding panel, the 47-member Science Advisory Board, advises the agency on what areas it should conduct research in and evaluates the scientific integrity of some of its regulations. Both boards, which until now have been composed almost entirely of academic research scientists, have long been targets of political attacks. 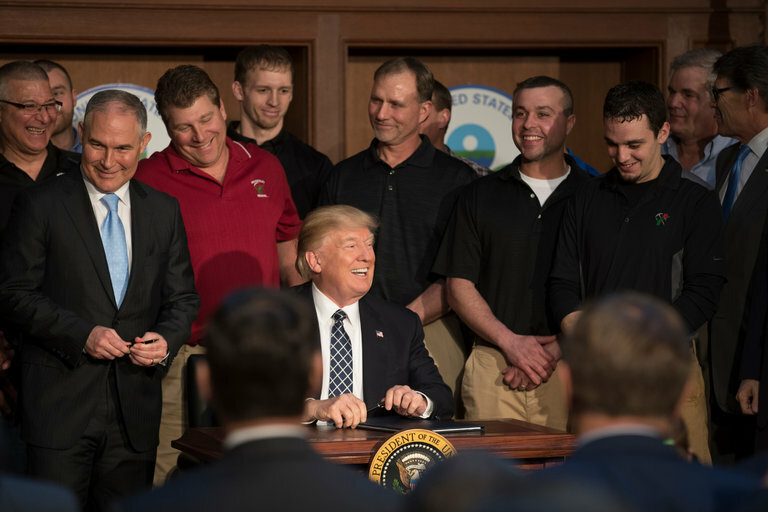 Congressional Republicans and industry groups have sought to either change their composition or weaken their influence on the environmental regulatory process. Representative Lamar Smith, the Texas Republican who is the chairman of the House Committee on Science, Space and Technology, wrote the House-passed bill intended to restock the Science Advisory Board with more members from the business world. As a witness, Mr. Smith brought in Kimberly White, senior director of chemical products and technology at the American Chemistry Council, which lobbies for chemical corporations and, like other industry groups, has pushed for more representation on the E.P.A.’s science boards. Several members of the Scientific Advisory Board contacted by The New York Times said that they had not received dismissal notices, but that they were aware their board was a political target.